Clouds on Titan « Nothing in Biology Makes Sense! 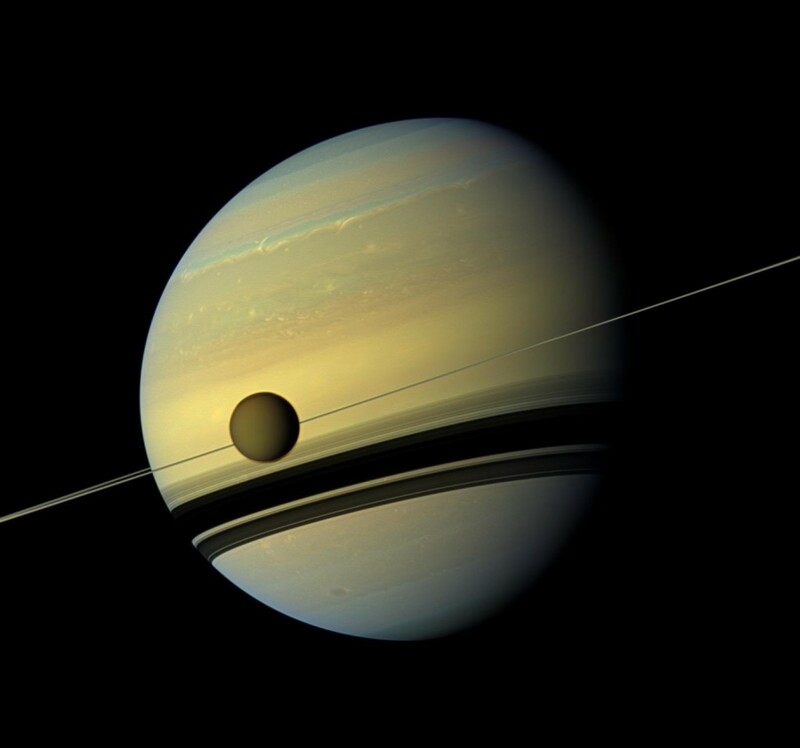 Saturn’s moon, Titan, is by far the most likely extraterrestrial location in our solar system that can maintain life. And now it looks like it might have earthlike clouds! Check it out over at the Washington Post! This entry was posted in Endless forms most beautiful. “by far the most likely extraterrestrial location in our solar system that can maintain life” – really? I would have said Europa and Enceladus. The cited article doesn’t seem to support this claim; it just says that “scientists have suggested that the icy world might be able to support some kind of alien life”. If Titan does have life, it would have to be based on a completely different chemistry than here on Earth – methane-based instead of water-based, and not DNA-based – whereas on Europa and Enceladus it could conceivably be water-based and even DNA-based. No?